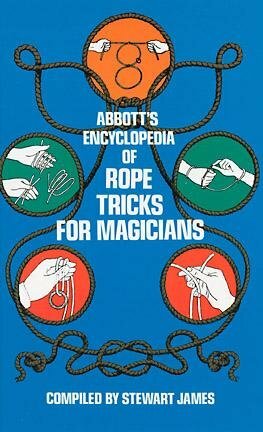 17.00 This book originally published by the Abbott Magic Company in Colon, Michigan is a wealth of information for the performer who enjoys rope. 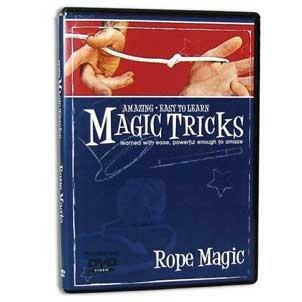 The book presents knots, penetrations, cut and restored techniques, the Hindu rope Trick, and other miscellaneous rope tricks; over 137 rope trick in all! This softbound book is over an inch thick and contains over 400 pages of information. A wonderful book. Learn one trick and you've got the price of the book! 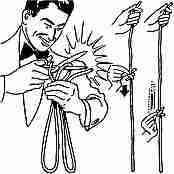 10.00 The magician takes a piece of cotton cord rope, doubles it up in his hand and cuts it in half with a pair of scissors. The magician then ties the rope back together. He then takes the rope and slides the knot off the rope showing the rope completely restored! The knotted rope can also be wrapped around the performer's hand and when the rope is unwrapped, the rope is completely restored! Complete instructions and a fifty foot hank of cotton rope is included. A great value! Any scissors can be used. 25.00 Long off the market, this is the little rope that doesn't want to be cut. As the magician displays a piece of rope hanging from his fingers, he picks up a pair of scissors to apparently cut the rope. 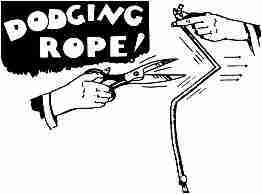 Each time he goes to cut the rope, the rope dodges the scissors! Can be repeated over and over for a great comedic running gag. 25.00 Two equal lengths of thick rope are displayed. One is red in color and the other is white. 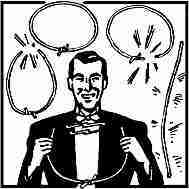 The magician ties a knot in the red rope and then twirls the ropes together. When the ropes are un-twirled and seperated again, the knot that was tied in the red rope has apparently jumped onto the white rope! The knot is untied and sure enough there is a section of red rope apparently penetrated into the white rope! A delightful trick by Pavel. 6.00 This is one of the cleverest little rope effects that has been produced in years. 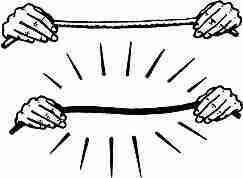 The effect is strong enough to be performed alone, but it can also be used as a prelude to another rope routine. 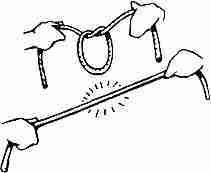 The magician displays a short length of rope and ties it into an overhand knot. 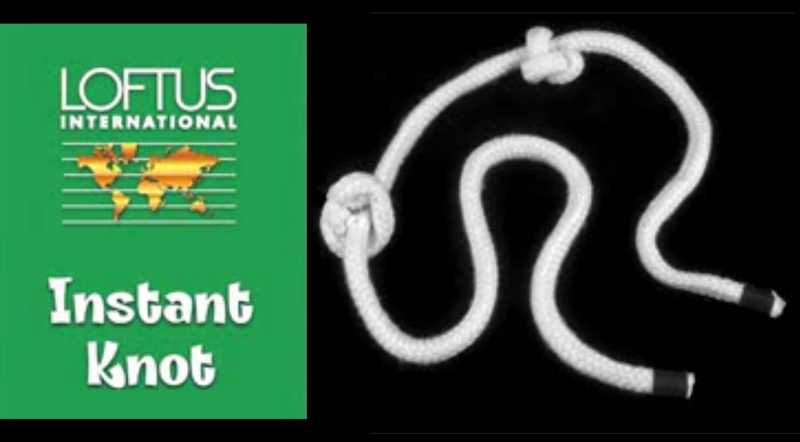 When he pulls the ends of the rope, the knot seems to tighten and then suddenly melt away! Don't let this low price fool you. This great trick is easy to do and fools even the most sophisticated audiences! Comes complete with rope and illustrated instructions.